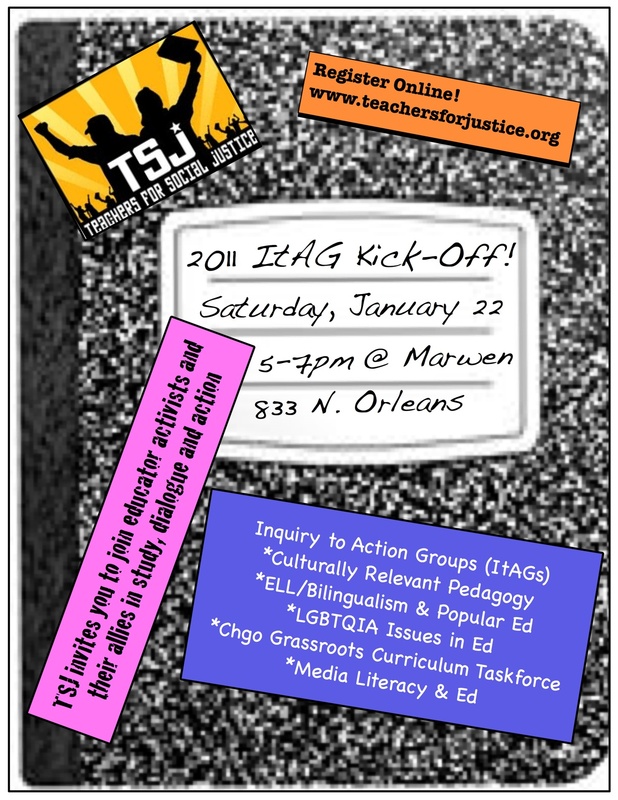 TSJ is excited to announce our 2nd annual round of Inquiry to Action Groups (ItAGs). The ItAGs gather educator activists and their allies to study, dialogue, share resources, build community and create an action around social justice issues in education. 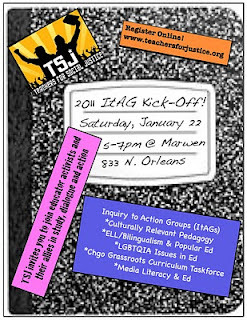 The ItAGs will meet once a week for 6 weeks starting the week of January 22 and conclude with a finale, same place, same time, March 12, where all the ItAGs will reconvene to share their work. Signup is officially closed for 2011. See you at the March 12 Closing Event! 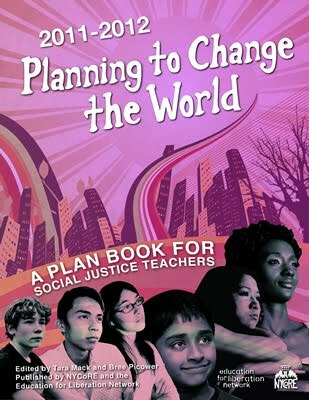 students, teachers, after-school programs and community organizations. 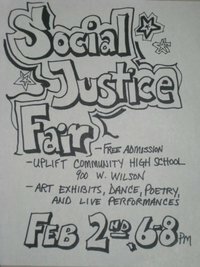 action that UPLIFT students, teachers, staff and community partners have been engaged in.